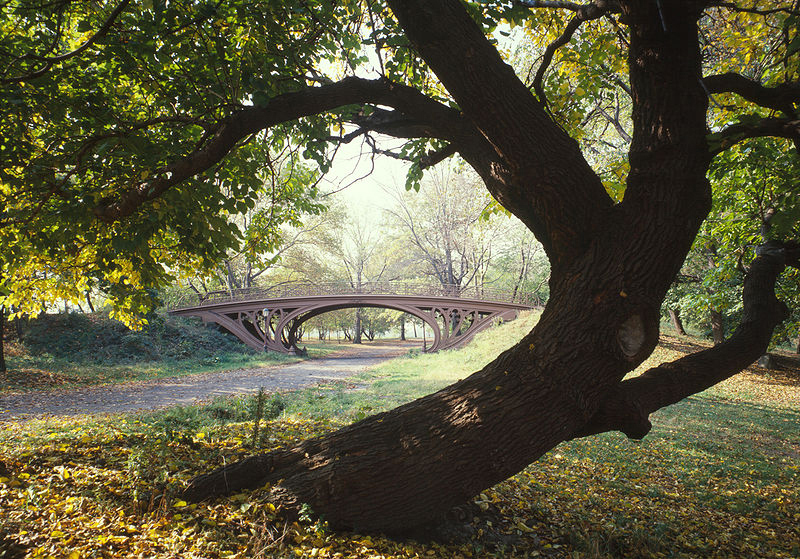 Frederick Law Olmsted, Sr., and Calvert Vaux’s “Greensward” plan was chosen for New York’s precedent-setting, publicly funded, urban park in the 1857 design competition. They presented a Romantic park, originally 750 acres and now measuring 843 acres, with pastoral meadows knit to rustic Picturesque woodlands. 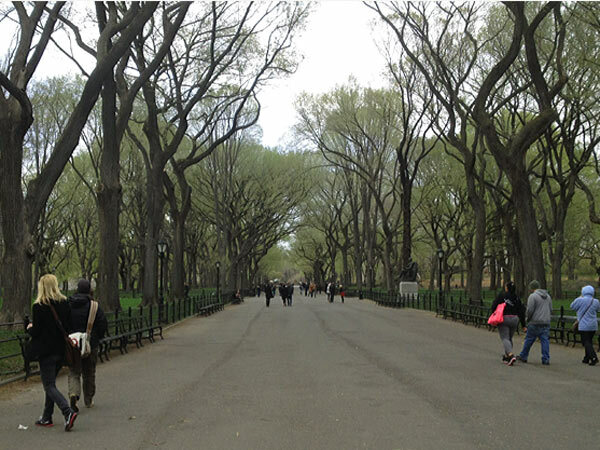 In anticipation of cross-town traffic, they sunk the transverse roads to separate vehicular traffic from the park. 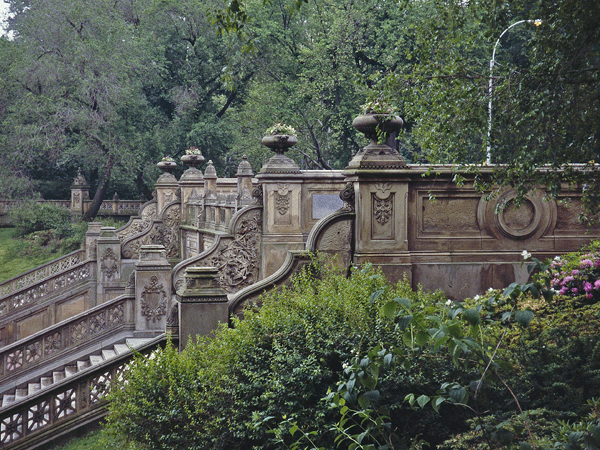 Visually isolated from the city by perimeter walls and plantings, the park’s water features (including the city’s first reservoir) increased the sense of distance from the edge. 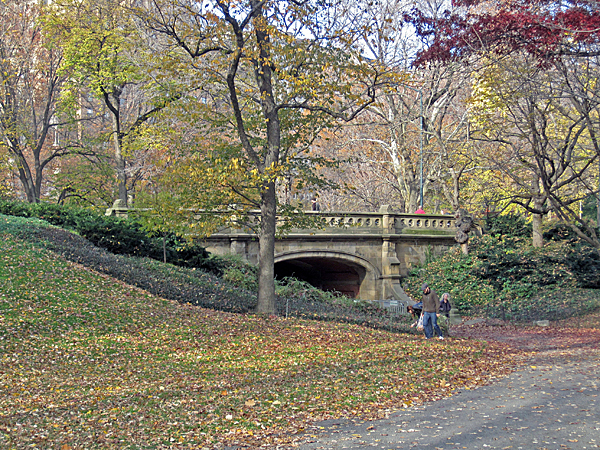 The intersection of grade-separated carriage, equestrian, and pedestrian circulation routes prompted the building of numerous bridges, each unique. Designed to thwart class self-segregation, several of the most magnetic landscapes were reachable only on foot. 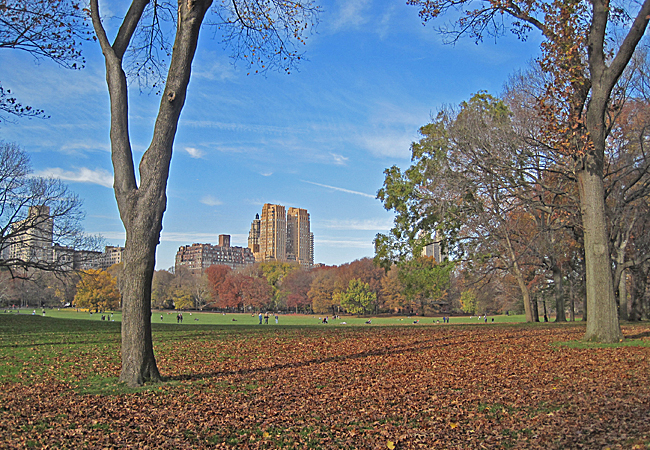 The formal Mall, its cathedral-like ambience created by quadruple rows of American elms surrounding a central promenade, was set askew from the urban grid, aligned instead on the distant Belvedere Castle. 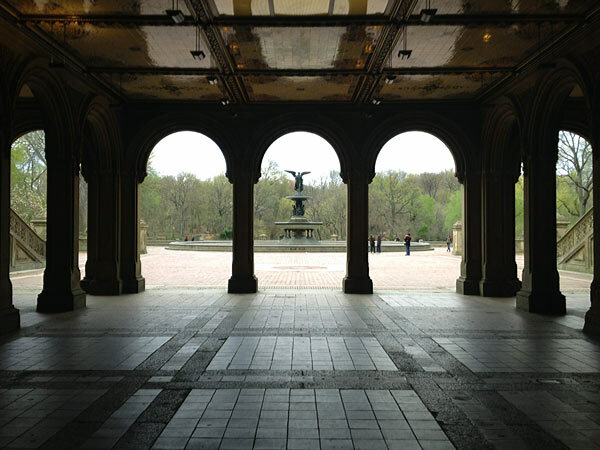 Additional notable figures associated with the park’s nineteenth-century development include architect Jacob Wrey Mould, horticulturist Ignatz Pilat, sanitarian George E. Waring, and landscape architect Samuel Parsons, Jr. 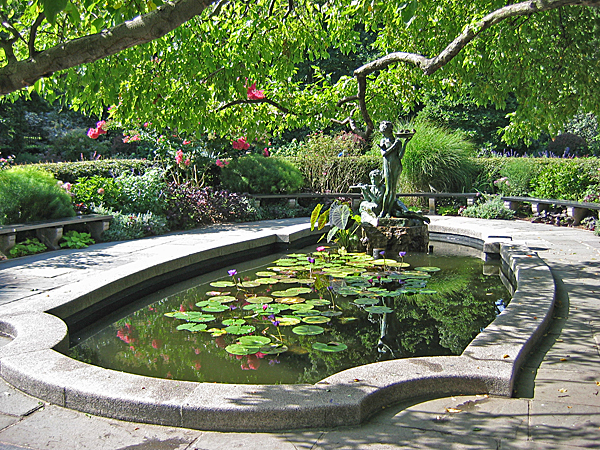 The twentieth-century legacy includes such celebrated landscape architects as Clarke & Rapuano, who worked on numerous park elements; Betty Sprout, who formalized the Conservatory Gardens in the 1930s; and Richard Dattner and M. Paul Friedberg, both of whom designed innovative playgrounds within the park. 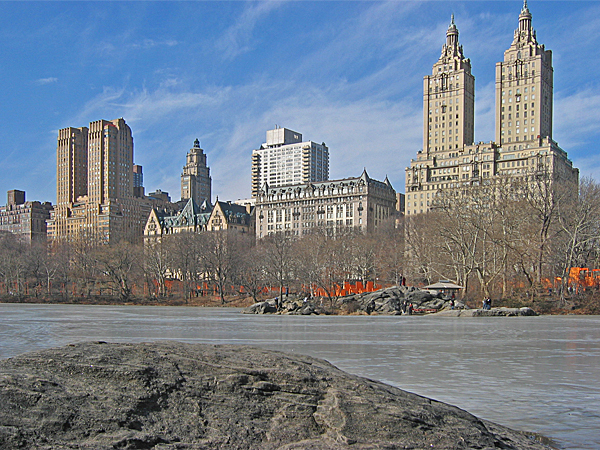 Central Park became a National Historic Landmark in 1966. 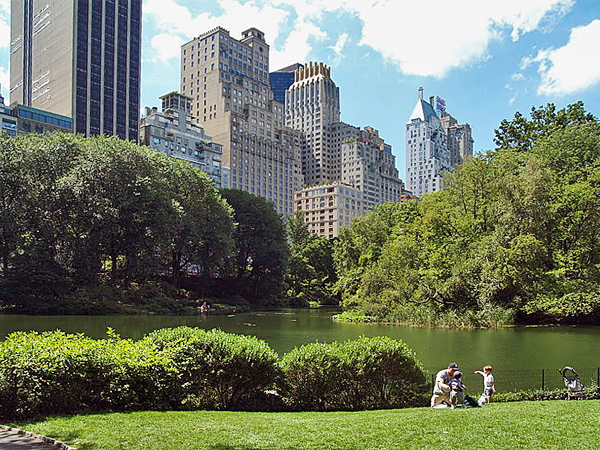 A model for public-private partnership, the Central Park Conservancy was founded in 1980 and continues to lead park management today.